Streaming is all the rage when it comes to home video, but that doesn’t mean DVDs and Blu-rays are dead—or at least, not to me it doesn’t. Once in a blue moon, I’ll get a scuffed DVD from Netflix that skips just as you’re about to find out whodunnit—and no, that’s not cool. Far more aggravating, though, are the times when the movie I’m streaming grinds to a halt, usually due to a choppy broadband connection. (Anyone with a cable modem who’s tried to stream an instant Netflix video on a Saturday night—precisely when everyone else on the block is also trying to stream a Netflix movie—will know what I’m talking about.) Sure, the video stream usually resumes after “buffering” for a few seconds, but the interruptions can be jarring, not to mention frequent. Several streaming-video services now offer HD instant movies and TV shows at full 1080p resolution, but not all 1080p video is created equal. Indeed, even the rock-solid high-def videos you’ll see from the likes of Vudu, Xbox Live and Netflix look a little soft compared to the razor-sharp picture on the best Blu-ray discs. For my money, “Avatar” looks more astonishing on Blu-ray than it did in 3D at my local IMAX theater, and I was equally impressed by the theater-like image quality of “The Tree of Life” on Blu-ray. And while some of the videos in Netflix’s instant catalog look surprisingly good (take “Black Hawk Down,” for instance), too many are marred by VHS-quality transfers that have been cropped to fit your HDTV screen. Probably the biggest complaints I hear about Netflix’s “Watch Instantly” service is that the selection stinks—and specifically, that the 25,000-odd streaming titles on Netflix are continually being shuffled in and out, seemingly at random. And while the video catalogs of à la carte streaming services like iTunes and Amazon tend to be a bit more stable, individual titles may still be yanked in deference to the home-video “windows” of such premium-cable channels like HBO and Showtime. On the other hand, a quick glance at Netflix’s DVD and Blu-ray catalog reveals a staggering number of movies and TV shows—more than 100,000, all told, including just about every movie ever made. And while the big movie studios have started holding back their latest releases from Netflix, Redbox and Blockbuster for a month or more (to boost streaming and pay-per-view rentals, or so the theory goes), you can at least be fairly confident a DVD that’s available for rent today will still be available tomorrow, next week, and the following month. More and more streaming-video services are offering subtitles and closed-captions for their instant-watch titles—particularly Netflix, which only recently began adding English subtitles to its streaming collection. Still, too many streaming-video services fail to offer subtitles or alternate-language tracks for their rentals, which can be particularly annoying for a) hard-of-hearing viewers and b) those of us who’d rather not hear Gérard Depardieu speak in badly dubbed English. DVDs and Blu-ray discs, on the other hand, typically offer a generous selection of subtitle and audio options—perfect for, say, non-English speakers who want to watch the new “Star Trek” movie with Portuguese subtitles, or movie lovers who like hearing the actors in French films speak, you know, French. For the most part, the movies and TV shows available for streaming come without any documentaries, deleted scenes, audio commentaries, or any other “extras” at all, save for a few exceptions on iTunes and Vudu. Granted, most of us don’t really care about extras or bonus features when it comes to popcorn-munchers like “Friends with Benefits” or “Captain America.” But if you want Roger Ebert to give you an audio tour of “Citizen Kane” (and I highly recommend you do), you’ll have to rent the DVD or the new Blu-ray to listen in. So, what about you? 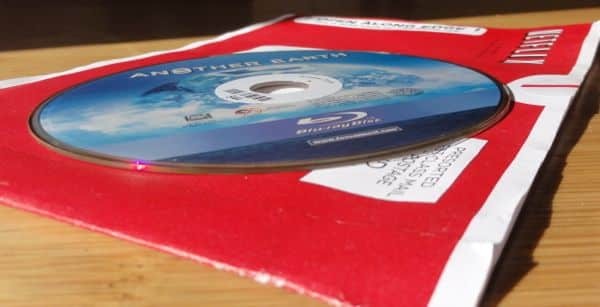 Are you still renting movies and TV shows on DVD and Blu-ray, or are you ditching discs for streaming?